Join Hill and Harbour cigar Lounge for some Abita beer and your favorite cigar. Event is from 8-10PM. Four Roses feature at the Gentleman Cigar Lounge. Featuring the beers from Abita Brewing at the Malted Barley Westerly. Event begins at 7pm. Grey Sail beers paired with a creative menu at Blue Water. Dinner begins at 6pm. At Ogie's beginning at 5pm. Malted Barley Providence from 7-9pm. Breaktime Bowl beginning at 8pm. Join PJ's Cranston for some dinner, cigars, and Heavy Seas beer. Event will be at Statesman. Check back for details. Check our social media outlets for info and giveaways! 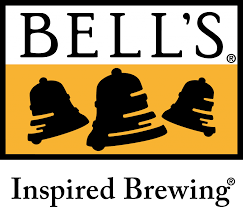 We're giving away a Bell's cooler! Check our social media feeds for contest details. Artifact Cider Project crafts distinctive ciders from the superb apples of the Northeast. Through thoughtful cider making, we unearth the potential in our region’s apples - reviving the pleasures of local cider. Use our product finder to locate Artifact Cider near you. "The founders at Outer Light Brewing Company are inspired by life’s simple pleasures. It could be a perfect summer afternoon watching the powdery white clouds contrast a bright blue sky. It could be a fleeting moment in early spring as you sit on your surfboard, waiting for the perfect set to roll in. A crisp autumn evening shared with friends around a crackling campfire. Or the quiet solitude of a powder run, lips smacking for the hearty stout that lies at the end." Use our beer finder to locate Outer Light Brewing products at you local store or watering hole. Follow us on social media to stay up to date on events and news. We have some exciting plans for 2018! Welcome Yacht Club Soda to the M&M family! We are proud to announce that Mclaughlin & Moran will now be distributing Yacht Club Soda to all Licensed RI accounts. After a 3 Year Hiatus, We Welcome Back Bear Republic! Located in the heart of Wine Country, on the corner of Healdsburg’s historic downtown square, Bear Republic Brewing Company offers world class, handcrafted ales. We are pleased to announce that we have inventory once again. Both Racer 5 and Hop Shovel are available for purchase. Keep your eyes open at retail. Friends and avid home brewers Matt Belson and Mike Segerson brewed their first batch together in the fall of 2010 on a simple kit Belson and his wife received as a wedding present a decade before. What started as a hobby quickly evolved into a passion for these two brewers. Fall is here (at least according to the beer calendar). Fall beers have begun to hit the warehouse. It's that time of year again. It may technically still be summer, but the beer calendar states otherwise. Our pumpkins and Oktoberfest beers have started to make their way into inventory. Please inquire regarding availability. We are pleased to announce that Mclaughlin & Moran and Local 251 has reached an agreement on a contract. We thank you for your patience and understanding over the last few weeks. With Memorial Day in our rear view mirror, we can start thinking about all the summer activities that ensue; trips to the coast, the day out on the boat, backyard bbq's.... Well, no event is complete without some great beer to go along with it. Make sure to check out all of our summer and unique beer offerings to quench your thirst for the season! American Craft Beer Week will be upon us soon! We can't think of anything better.....a whole week dedicated to the celebration of craft beer! Please check our events, as we have so many great opportunities to hob nob amongst all your peers that have the same passion. We have so many great breweries and partners that would love to help you celebrate. So come out and raise a pint of your favorite brew. 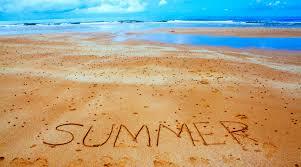 As the weather breaks, we welcome the arrival of our summer offerings. Be sure to check out the seasonal offerings from Cisco, Grey Sail, Founders, and all the rest of our craft suppliers. Cheers! Welcome Wormtown Brewery to the M&M family. After finally filling out the Massachusetts footprint, Wormtown has decided to enter Rhode Island, and we couldn't be hoppier! Beginning April 3rd Be Hoppy will be available to drink on draft at you local watering hole. To begin, distribution will be limited. Check our social media outlets for availability. The newest beer from Shiner is here! 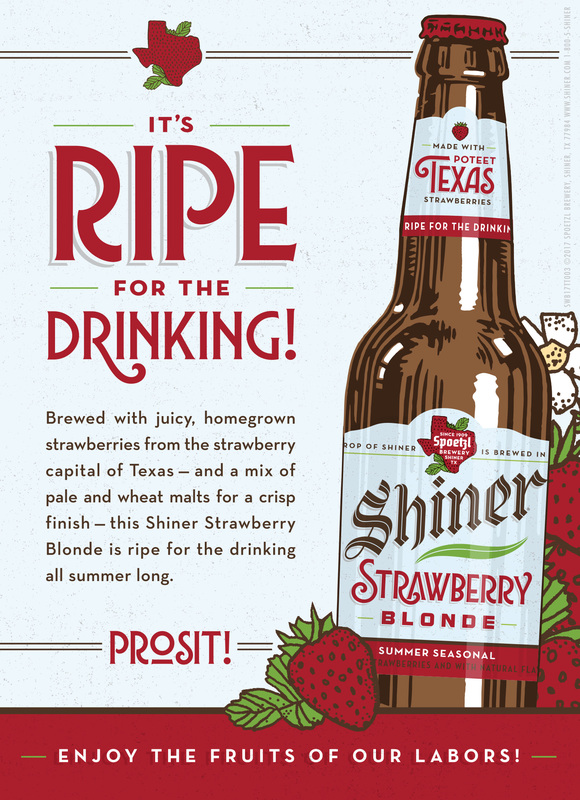 Strawberry Blonde is the latest creation from our friends in Texas. Pick up a six pack now. 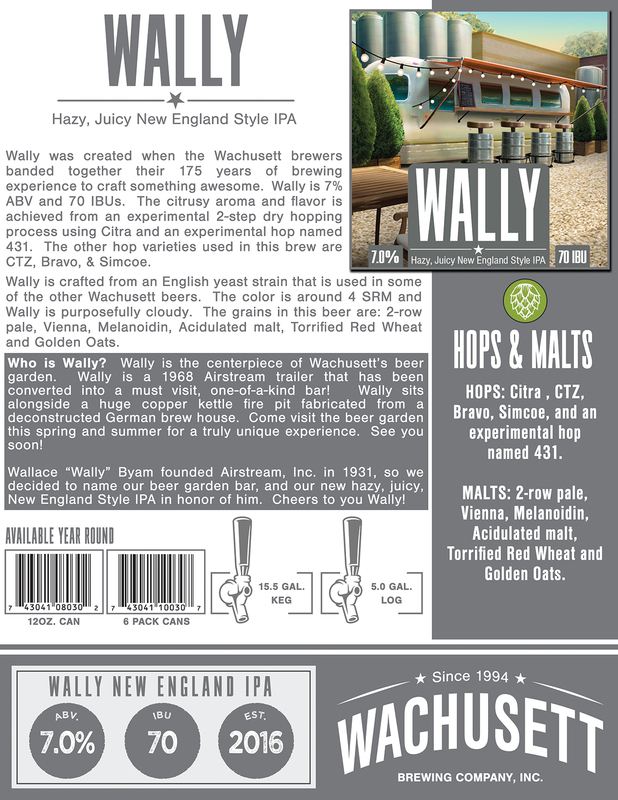 Wachusett Wally Cans Are Here! The much anticipated New England IPA from Wachusett brewing is finally available in package! You've had the opportunity to quench your thirst on draft at you favorite watering hole, but now you will be able to purchase at your store of choice and enjoy in the comfort of your home. Get out and pickup a six pack of Wally and enjoy the weekend. 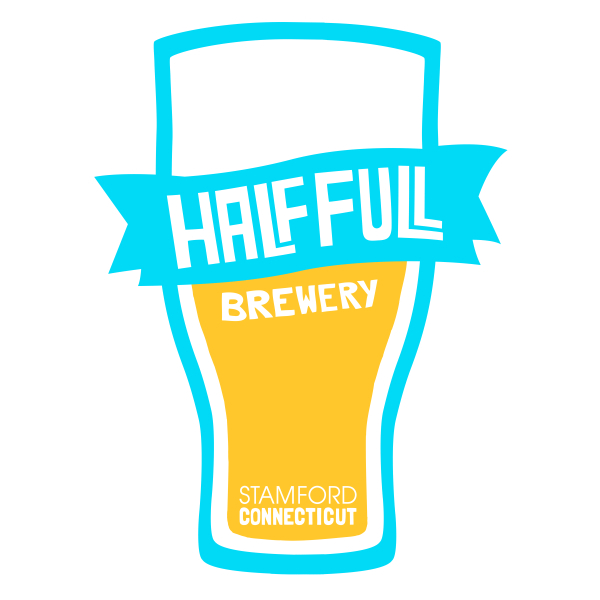 Half Full Brewery Rolls into Rhode Island! Now available from Hall Full Brewery out of Stamford, CT: Bright Ale, Pursuit IPA, Grace and Darkness Oyster Stout, Sensible Decision and Liquid Hoptimism. Use our "Find Products" page to locate these beers near you! We're pleased to unveil our new website that more effectively highlights who we are and the products we sell. Most importantly, visit our "Portfolio" page to browse the brands we sell and our "Find Products" page to locate products near you. As a plus, our website is mobile friendly, so you can browse on any hand-held device!